Something is not quite right. Joan seems to, “not be herself”. Joan has less energy in the evenings than she usually has. She is taking more time in the bathroom than usual. Joan is waking up in the middle of the night more often than she ever has in the past. 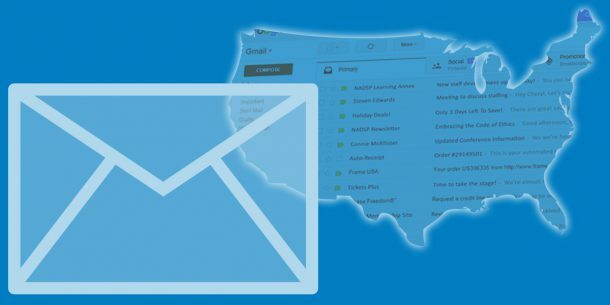 All these previous observations made by a Direct Support Professional are, what we call in the world of the NADSP Competencies, the skill and competency of Assessment. 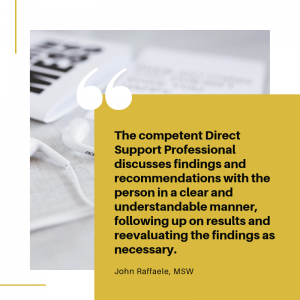 Direct Support Professionals should be knowledgeable about formal and informal assessment practices in order to respond to the needs, desires and interests of the people they support. 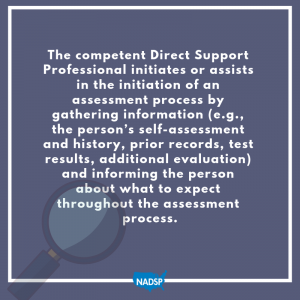 Direct Support Professionals don’t give themselves enough credit for being skilled at assessment. In the case of Joan, it is the DSP’s observations that are critical in helping Joan get the medical, psychological or emotional support she may need to help her get well.